I am Cynthia, a 50-something Canadian. I have been living in Paris for more than 25 years. I have 3 passions: people, wine and travel. I try to combine all 3 whenever possible. Learning about wine has opened so many doors and windows for me - onto new people, different cultures and fascinating places. When I was a teenager my mom used to joke that my friends were from embassy row to skid row. Not much has changed since then. I have drunk homemade rice wine with the very scantily-dressed chief of a headhunting tribe in Borneo. Perched up high in his longhouse, he shared his top 10 list of things to do on the island with me. I also savoured a couple of bottles of delicious red wine with a slightly more dressed (he was wearing a bathrobe) Governor General of Canada during his official visit to France. During our lovely tête-à-tête in a 5 star hotel he shared his passion about collecting tomato seeds from around the world. I have also shared chang (Tibetan beer) with a bunch of Tibetan monks who invited me to celebrate the Tibetan New Year with them in a monastery in Nepal. I have sipped red, white, still, sparkling, and fortified wine from so many countries, with so many interesting people, from so many different walks of life. Everybody had an interesting story to share. You can connect or find out more about me via my LinkedIn profile. I regularly publish articles there. In case it matters to anyone, I am a certified WSET Level 3 wine professional. I passed with Merit. I was also voted "Best Wine Tasting in Paris by Expatriates Magazine at the end of 2018. Delectabulles was created to give women the opportunity to share their stories and knowledge with other women while sipping sparkling wine. Well, my female winemaker friends have often told me that women and men don’t behave the same way during tastings. Men tend to be comforted by sharing technical information about the wine - the level of acidity, alcohol, vinification methods, etc. That tends to either bore or intimidate and silence the women present during the tasting. I don’t want to bore or intimidate women. I want them to have fun and to feel comfortable sharing their impressions of the wine, or their life stories, or their knowledge, or their favourite place to buy decadent pastries. That is the main reason Delectabulles is limited to women. There are other reasons. The wine industry is very much dominated by men, but women are slowly and steadily becoming sommeliers and winemakers. In 2010, 27% of the wine estates in France were led by women, which is double the number there were 20 years earlier. In March 2013, Véronique Rivest, also a Canadian, was the first woman to make it onto the podium of the World’s Best Sommelier competition which has been in existence since 1969. Women now represent 43% of the total number of Wine and Spirit Education Trust (WSET) Diploma graduates, up from 11% in the 1970s. 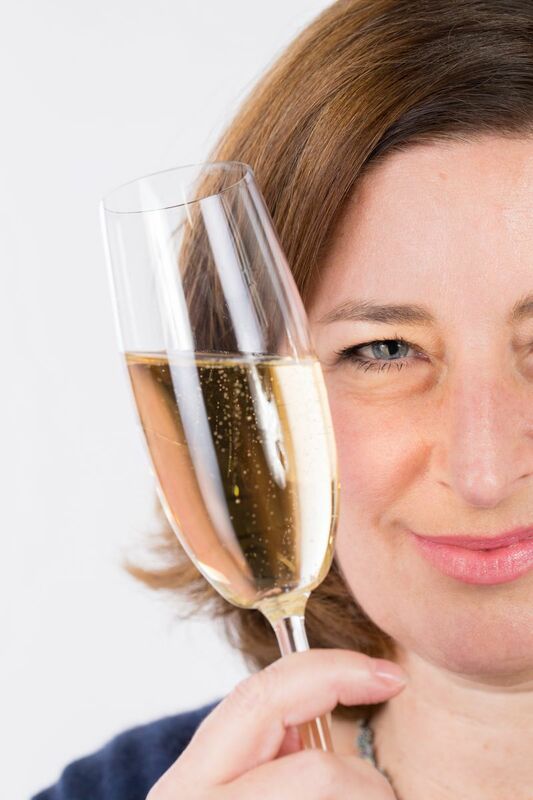 Delectabulles would humbly like to play a small part in supporting women in the industry by serving sparkling wines made by women and by giving more women the tools and confidence they need to buy sparkling wines from around the world. Champagne and women have a long shared history. Some of the biggest Champagne brands were developed by determined and innovative women (e.g. Veuve Clicquot, Pommery). Women have also been Champagne’s muse for hundreds of years. Queens, actresses, and top models have inspired so much of the marketing of Champagne. So Champagne and women are definitely well paired!